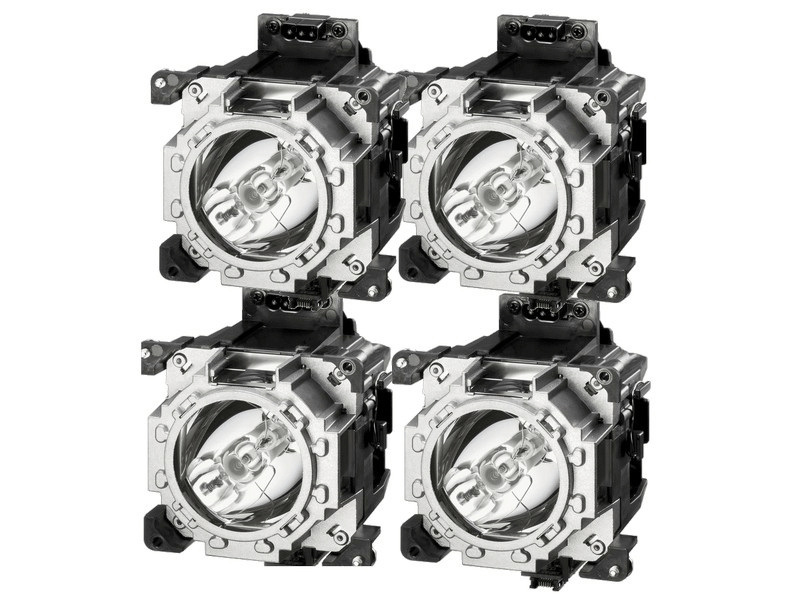 The PT-DW17K2 Panasonic projector lamps replacement (4-Pack) are a genuine original OEM Panasonic Quad-Pack lamps with 432 watt UHM bulbs inside. This Quad-Pack is rated at 20,000 lumens. The PT-DW17K2 4-Pack has a rated life of 2,000 hours. Beware of lower quality lamps with generic bulbs inside that have poor construction, reduced lumen output, and shorter rated life. PT-DW17K2 Panasonic Brand Original Projector Lamp Replacement. Contains 4 lamps. Excellent service and they had this lamp in stock. it arrived on time and to our joy it was the original Panasonic lamp in the original Panasonic Box. Works great and we are ready to go!